Last night at about 8 PM. 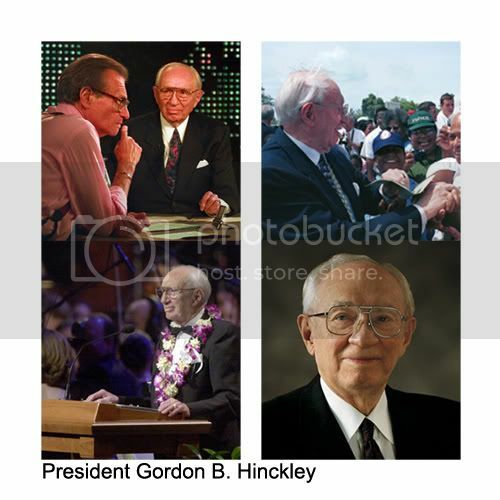 I heard that President Hinckley passed away. I am very sad about his loss. He has been our prophet for the past 13 years. He was the prophet who signed my mission call to Sydney Australia. I even had the chance to meet him and shake hands with a few years back. He was loved by all who met him. Here is a short video clip about his church service.